Factor Films: Independant Film Production! BAFTA Nominated and award winning producers of independent cinema. Having successfully delivered comedy drama Reuniting The Rubins for Theatrical release Factor Films is currently packaging "Fragmented", a psychological thriller love triangle between three survivors of a hellish hostage ordeal many years before. For information regarding further progects check out the slate. 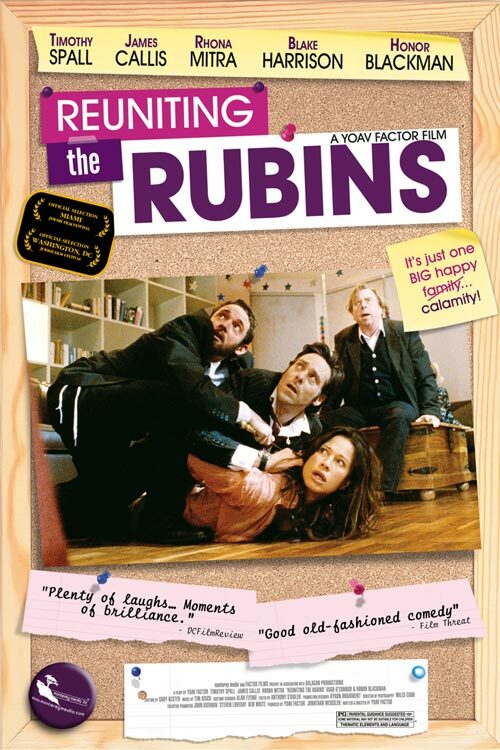 BAFTA Nominated Producer of Cannes Film Festival Special Jury mention "Good Night" and Film London selection as a top ten UK emerging film producer 2009, Factor Films latest feature "Reuniting The Rubins" has been selected for the Breakthrough strand of 2010 London UK Film Focus.